We’re taking part in the first ever round of PocketShop, where you can shop wherever you like! It works via a HUD shopping system which you can pick up at our main store via the PocketShop poster. What we have brought to the event is a geode coffee table paired with a set of gold minimalist candles, perfect for a modern living room setup. Event runs from August 5th to September 4th 2018. We’re taking part in the first ever round of PocketShop, where you can shop wherever you like! 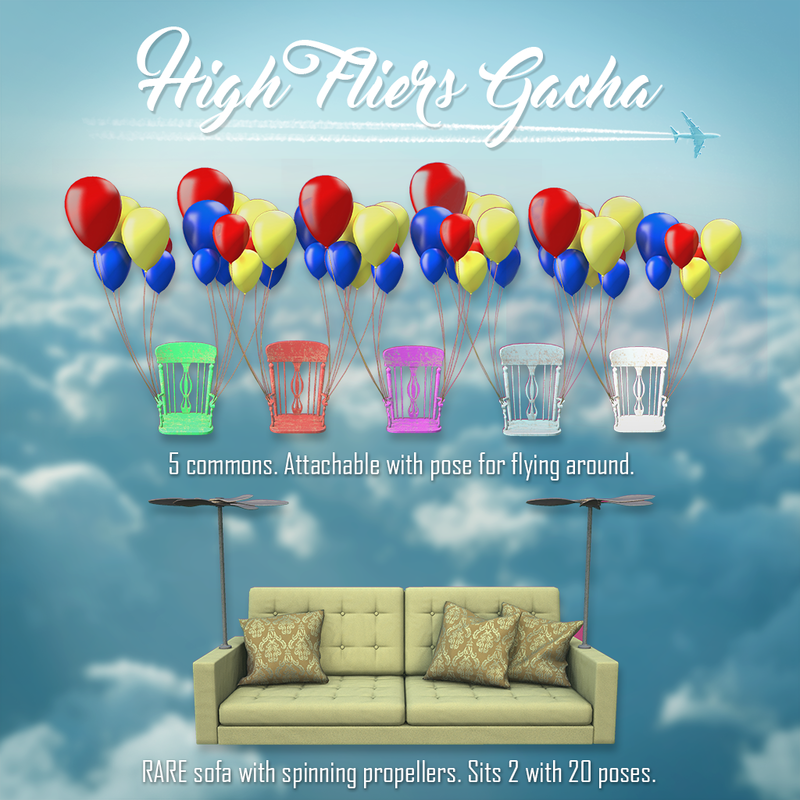 It works via a HUD shopping system which you can pick up at our main store via the PocketShop poster. 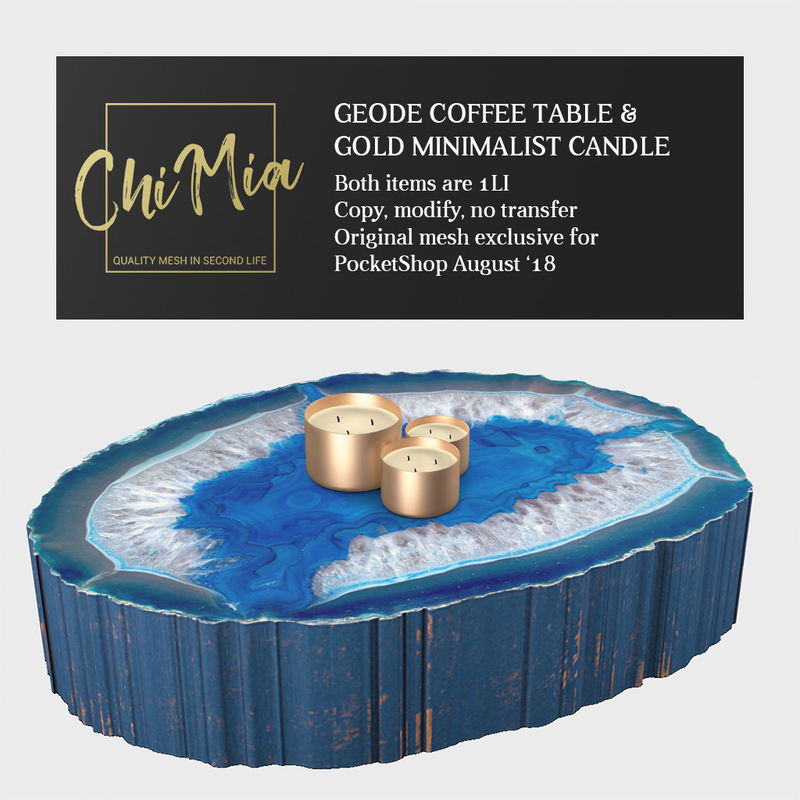 What we have brought to the event is a geode coffee table paired with a set of gold minimalist candles, perfect for a modern living room setup. You can head to our mainstore to pick up our item and the PocketShop HUD to see the event’s other great items. Event runs from August 5th to September 4th 2018.